Guided big game fishing tours with experienced anglers. 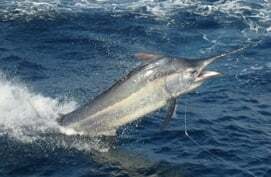 Call Adam on 0413 039 514 to discuss your Black Marlin fishing adventure. Iona Game Fishing Australia offers the optimum in fishing charters in Australia from as far north as Cairns, the Great Barrier Reef, following the migrating marlin along the East Coast of Australia to as far south as Port Stephens and Newcastle. Port Stephens/Newcastle Season Season January to April. Contact us now for our unbeatable rates and availability for charters at this world class fishing destination. Go to our blog to view our many heart pumping videos, you will be sure to book that trip of a lifetime! Our 2 world recognised game boats and world class Captain’s with 20 years combined experience will make your fishing charter in Australia a life time dream to remember! 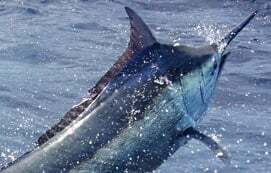 As marlin fishing is our passion, Iona Game Fishing Australia follows the migrating marlin along the East Coast of Australia to 3 internationally renowned fishing destinations. The Iona & Iona II are available for all types of fishing charters from each destination maximising on tackle best fit tackle for each location. Whether it be heavy tackle fishing for Giant Black Marlin out of Cairns, light to medium tackle for all 3 billfish species, black, blue & striped from Port Stephens/Newcastle and Coast, fly fishing or ultra light tackle fishing for world records from each destination, Iona Game Fishing Australia has the knowledge, skill and results to cater to all your charter requirements and make your fishing trip a world class.